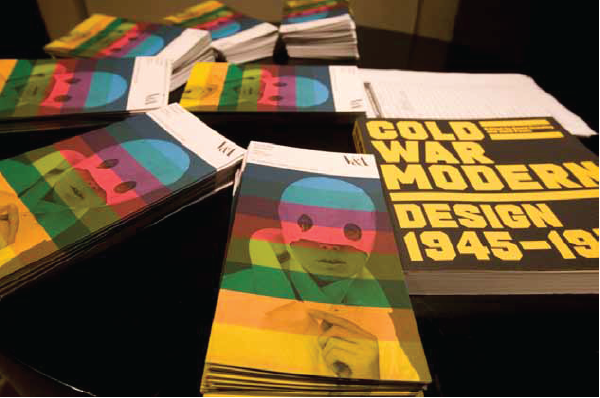 Originally presented in 2008 in London's Victoria and Albert Museum, Cold War Modern: Design 1945-70 was the first English-language exhibition on design and consumer culture on both sides of the Iron Curtain. As part of Budapest Design Week, OSA is pleased to host a public lecture and discussion on the Cold War Modern exhibition, which has since become an important foundation for all subsequent work on the subject. Organised by Blood Mountain, the event presents the exhibition, the curators' extensive knowledge and research into Hungarian design culture of the period, for the first time in Hungary. To date, socialist design history has remained an un-examined and under-valued discipline in Hungary, and the broader region of Central Eastern Europe. The programme is accompanied by a masterclass with Professor Pavitt addressing the preeminent discourse and practice of design curation. It is open to all BA and MA students at the Department of Art Theory and Curatorial Studies, Hungarian University of Fine Art and all BA and MA students of Art and Design History at the Moholy-Nagy University of Art and Design. The theme of the 2013 Budapest Design Week is ‘Crossovers’, which closely reflects Blood Mountain’s interdisciplinary remit in contemporary art, architecture and design.